The commonplace objects that Duchamp chose as "Readymade" works of art epitomized the artist's belief that art should go beyond the visual and appeal to the mind as well as the senses. 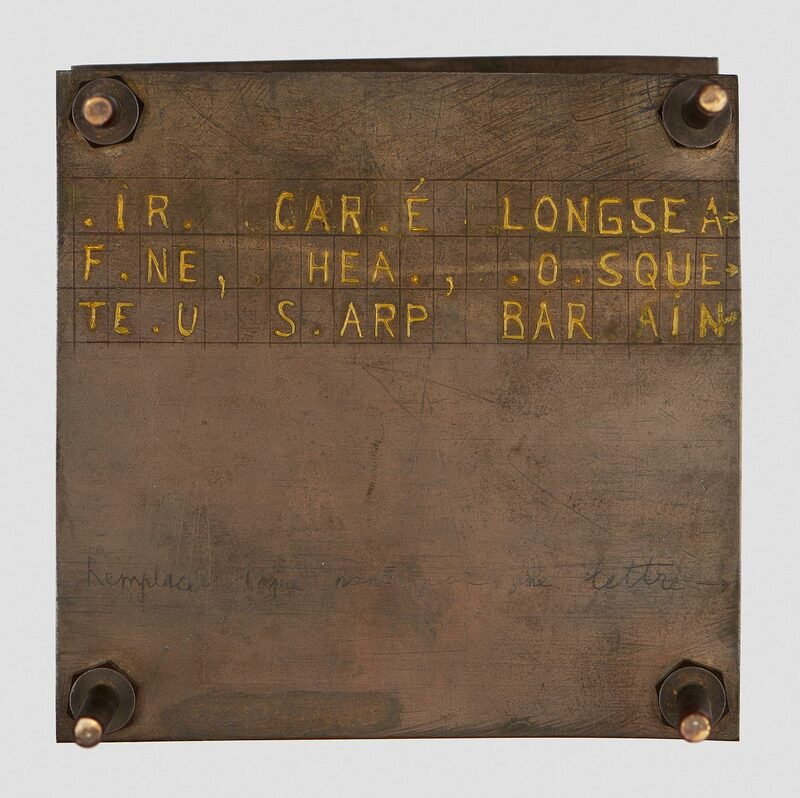 Duchamp began signing and giving titles to mass-produced items after he moved to New York in 1915, beginning with a snow shovel purchased in a hardware store. With Hidden Noise marks the transition from Duchamp's signed objects to more elaborate works, which Duchamp called "assisted Readymades." 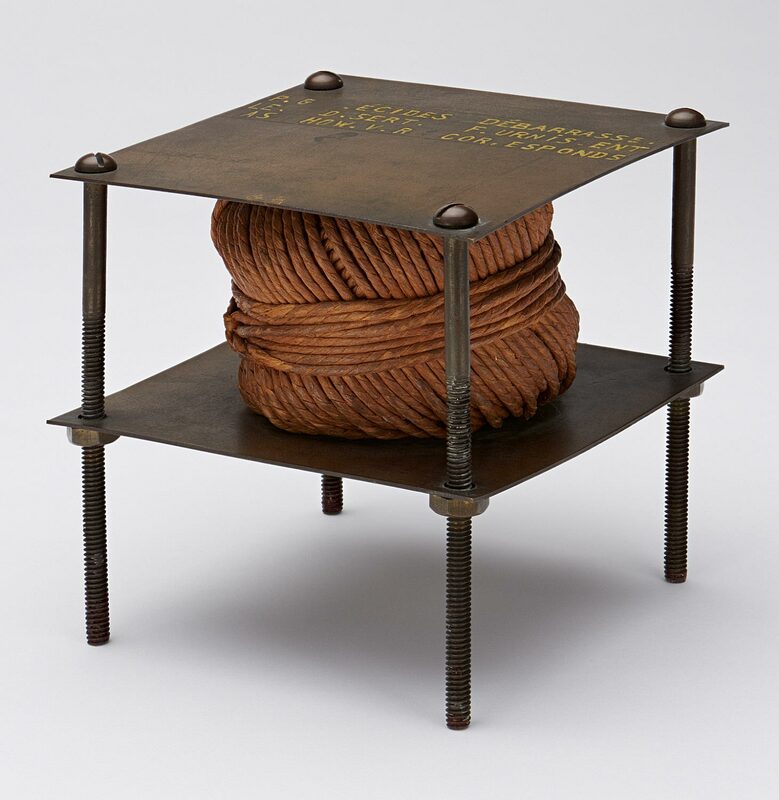 For this piece, made on Easter Day 1916, Duchamp set a ball of nautical twine between two brass plates. He then asked his friend and patron Walter Arensberg to place an unknown object inside before he clamped the Readymade shut with four long screws. The title alludes to the rattling sound the hidden object makes when shaken. Duchamp requested that Arensberg never tell him what the secret thing was, preferring to remain blissfully ignorant of his work's "content." Twentieth Century Painting and Sculpture in the Philadelphia Museum of Art (2000), p. 48.